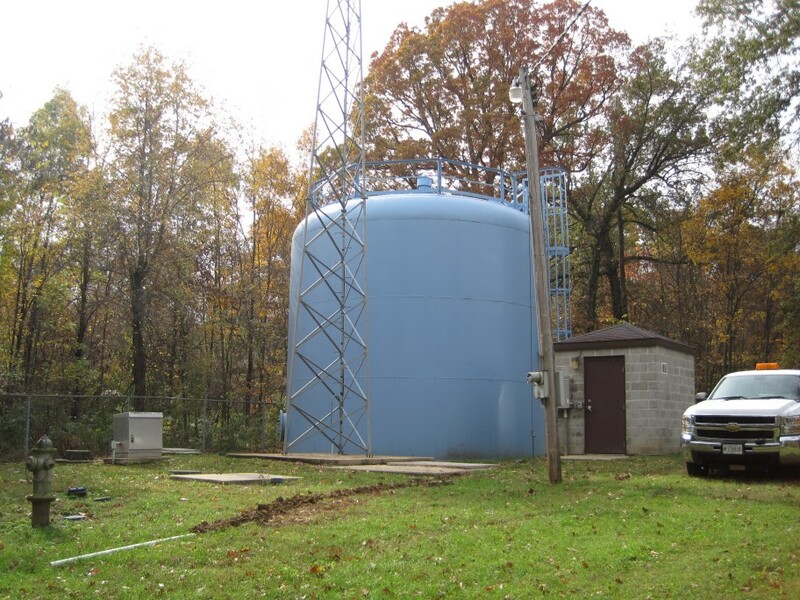 Recently, an interesting project was completed at the water custody-transfer point between Williamsville (IL) and Springfield (IL), where Williamsville purchases bulk water from Springfield and transmits it through a system of water towers, pumping stations, and distribution mains. Williamsville (IL) Pumping Station. 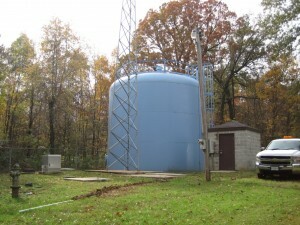 Station features a Ground Storage Tank and Altitude Valve, a Master Meter, 2 Pumps, and a Bypass Valve. 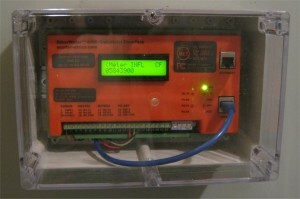 Williamsville’s station is run by an intelligent RTU connected to their Radio SCADA system. Springfield, the bulk seller, monitors the master meter using an Itron radio AMR system. In the scope of this project, Williamsville installed EtherMeters into their existing distribution SCADA system for the purpose of automated report generation, flow monitoring, and leak detection.The custody-transfer master meter was a Badger 6 Inch T2000 Turbo Meter outfitted with an ADE Encoder Register and supplied by Midwest Meter (Edinburg, IL). 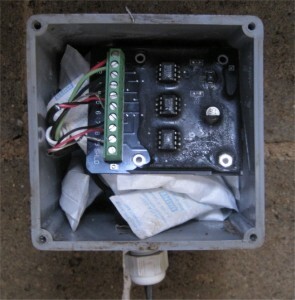 Springfield concurrently wished to read this meter using a 60W ERT Endpoint (manufactured by Itron) as part of its radio-based AMR system. It was important to both parties that Williamsville’s SCADA/metering system and Springfield’s AMR system coexist without disruption to the other’s system. Vault-Set Master Meter: 6 Inch Badger T2000 Turbo Meter. 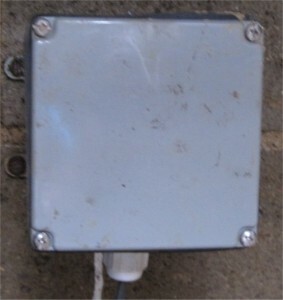 Meter is equipped with an ADE encoder-type register and an Itron 60W ERT. To achieve harmonious sharing of the master meter, it was necessary to split the meter signal using a SCADAmetrics RRF-50 “Radio-Read Filter”. 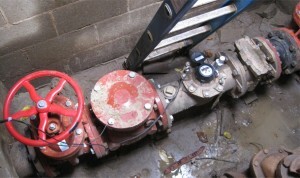 This unit was installed within a small junction box within the master meter vault, essentially allowing the two meter-reading devices to be connected in parallel to the single encoder-based register. The vault did not contain power, but this was not a hindrance, since the Radio-Read Filter does not require an external power source. SCADAmetrics Radio-Read Filter. 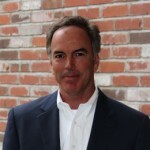 This device allows two endpoints to share the meter readings. In this case, the two endpoints are the Itron 60W ERT (Seller) and an EtherMeter (Buyer). 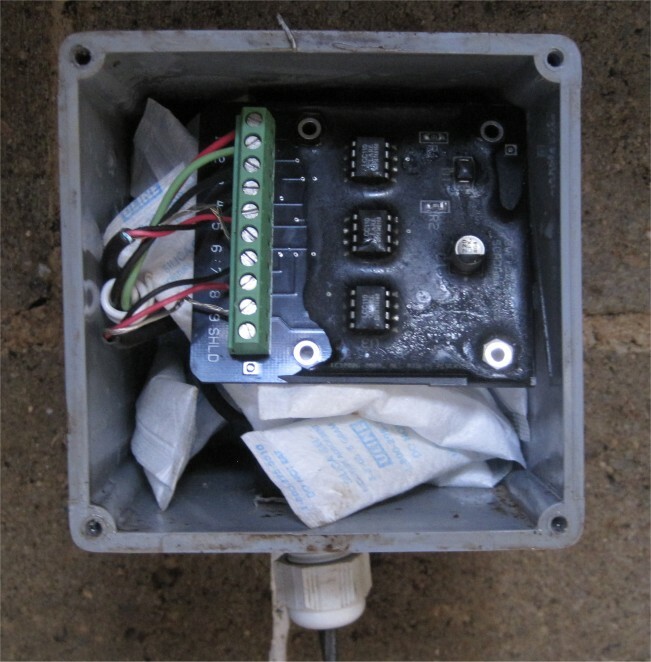 Although the Radio-Read Filter is not rated for an uncontrolled vault environment, the customer potted the unit with a two-part 3M epoxy compound to resist moisture. 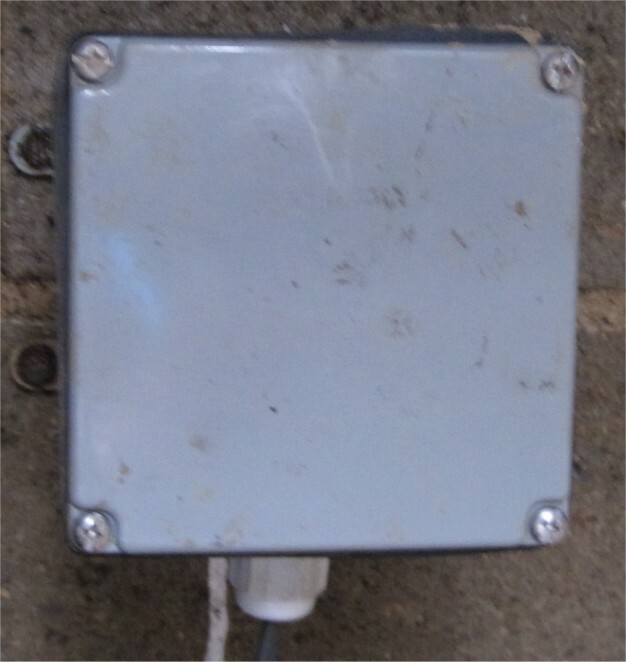 Vault-Set Junction Box containing the Radio-Read Filter. The flow-metering upgrade to Williamsville’s SCADA system provides tracking of total and zoned consumption — a vital tool for detecting and pinpointing leaks. The Buyer’s EtherMeter. Error-free meter totalization and flow-rate is transmitted to the local RTU via MODBUS/RTU. In this photo, the LCD Display is showing totalization. In this photo, the LCD Display is showing flow-rate. 1. The Badger ADE register for the 6 Inch T2000 Turbo Meter was pre-fitted with an Inline Connector for the Itron W60 ERT Endpoint. The internal conductor color-coding for this type of cable is non-standard. The color-coding is as follows: BLACK (Tx or CLK), RED (Rx or DATA), SHIELD/DRAIN (CMN). 2. 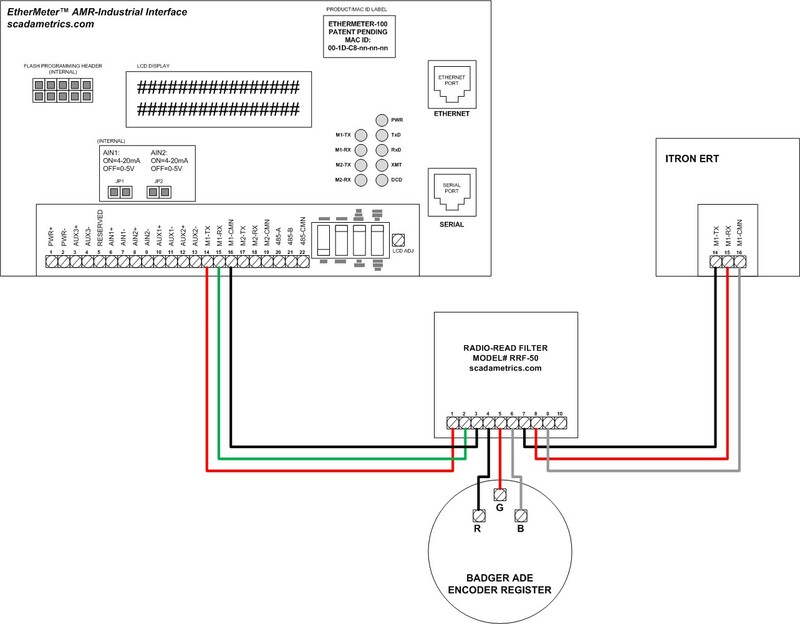 Before initially connecting an Itron 60W ERT endpoint to the ADE register, ERT initialization is sped up applying the Itron-supplied shorting cap to the ERT. This places the ERT into fast-mode for 15 minutes or until the ADE register is recognized (whichever time period is shorter). Internally, the cap places a jumper/short across the Rx/DATA line (RED) and the CMN line (SHIELD). 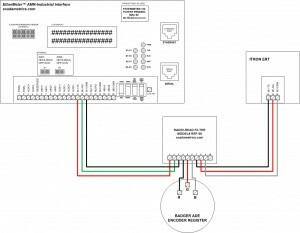 This Wiring Diagram Shows How The EtherMeter (Williamsville) And ERT (Springfield) Were Connected To The Shared Badger 6″ Meter. Edit (2018): For Radio-Read Filters Version 4.00 and later, RRF.Terminal.10 should be wired to EtherMeter.Terminal.3.